I’ve often said this is not a political blog, but that’s not really what I mean. Folk music cannot help but be political; it is political at its roots, not just in its branches. Woody Guthrie’s fascist-killing guitar is a means to an end; the ends he shares are more apparent in a broader statement, often attributed to Woody but more likely borrowed from a newspaper writer of his generation, that the purpose of folk music is to comfort the afflicted, and afflict the comfortable. But no matter the origin, it is true, of music and of folk: the tenets of social justice are entwined so deeply in the folkworld, to pretend otherwise would be a failure of coverage. But I am not just a folkblogger. I am also a practicing Unitarian Universalist, who believes fundamentally that love will prevail. 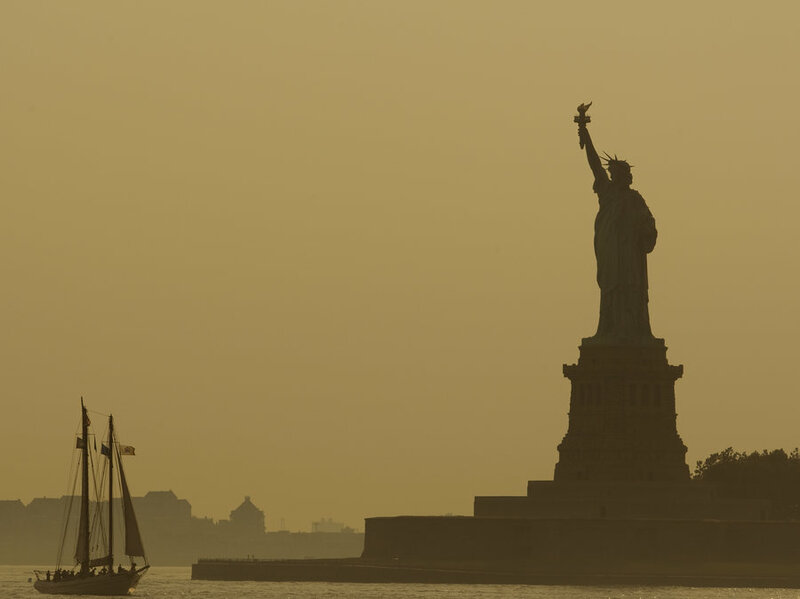 And I am a true descendent of Ellis Island, born of a line of immigrant Jews who came to this country as teenage refugees themselves, the sole members of their families pushed out just in time before the Nazi party rose to power and swallowed the rest of our shared family tree. I live in Massachusetts, both home of the Salem Witch Trials, and a Commonwealth known for harboring religious persecuted minorities since 1620. I serve my community as a member of the school board, the better to help establish norms and priorities which will best cover the spread of vocational and civic possibility in a community that trends 60/40 towards blue-collar, independent-contractor Republicanism that appreciates the high school musical but doesn’t always recognize the merits of the liberal arts mindset among us, or in our schools. I teach English and Media Literacy in an urban setting not just because it is what serves my soul or pays the bills, but specifically because it serves my sense of patriotic duty to develop the civic, questioning mind in those populations historically underrepresented in the halls of power – not to feed it the pablum of any particular creed or standpoint, but to engender, to the extent I am able, the articulation of thought in service to right dialogue in the generation of my children, and beyond. And then, in the increasingly rare moments of peace, I turn to this virtual soapbox, and share the joy of communion in music and culture-sampling that is folk coverage. And sometimes, because the songs are speaking, that means harboring the fugitives: in this case, songs crafted – and performances – to afflict the comforted, as Guthrie so wisely yet so probably did not speak, after all. There are a few of you out there who sent partisan responses to our last post; there are, surely, a few reading this who will willfully misunderstand, and follow suit. But this is not a liberal blog, save that we celebrate the transformation of both song and of culture, as their arc bends towards justice. These attempts to shift the conversation here to partisan discussion will go unshared, and un-responded to, though I am ever regretful that there are those out there who cannot tell the political from the partisan. For mine is not political work, and this is not a partisan blog. It is, in the end, a folkspace: a patriotic platform, proudly American, where those who sing intimately to power are welcome, regardless of their party affiliation. Just like in my classroom, all opinions are wanted here, so long as they are offered respectfully. Just like at the school board table, we work in service to the dialogue, and its participants, not to its contents or conclusions. And no matter your beliefs or your actions, if you are doing so peacefully, and proudly, and mindfully, and joyfully, then you are one of us. All are welcome here, just like in America. You, and you, and you and me. For all of us, everywhere, are native to this world we share. And in a very true way, all of us are descended from immigrants – all of us together, and each one of us alone. My students were more restless than usual yesterday. And though it’s tempting to conflate their behavior with the unrest and uncertainty that has surrounded President Trump’s ascension, and the ending of an era for another, more humble President, one that looked more like them than ever before, I know better. In the inner city, students spend what little energy and attention they can muster on the lowest tiers of Maslow’s hierarchy of needs; end-of-term hopelessness, mingled with the daily grind of poverty and impossibility, is enough to explain their malaise, and empathize with it enough to double down on the markers of care and comfort I work to bring to my daily practice with each of them, and with all. It’s a volatile time in America. Yesterday’s destructive attacks on the symbols of high capitalism kept me up late; last week’s cabinet hearings did, too. Our discourse is fragmented, and too often tinged with anger, even as, across the globe, we raise our voices in hopeful determination, even as we worry that only we are listening to ourselves. I’m not marching today; though we had originally hoped to make it to Boston, family illness, kids far behind in their coursework, and end of term grading weigh heavily on the mind and soul. We are not ashamed, for living out loud in America proudly and well is as important as protest, in the end. But we are tracking, carefully, those who are: in Washington, Boston, New York; in smaller communities across the nation. Their smiles and pink hats fill our Facebook feed; their joy and purpose flowing like a mighty river in video posts and status updates as they converge on the centers of their communities, and raise their signs. Our spirit is lifted as America unfolds before us. There is hope here, the candlefire of the determined spirit magnified a millionfold as the power of the people, gathered together, burns bright. There’s new songs on the backburner, an undiscovered coverfolk country on the horizon. But today, we put aside the new and novel to embrace history in our midst with a soundtrack of sorts, with songs determined and patriotic, melancholy and uplifting in equal measure. May those who march today find their journey light, their voices heard, their stamina great and their conviction strong. May love prevail across this great land we love. Ad-free and artist-centric since 2007, Cover Lay Down thrives thanks to the support of artists, labels, promoters, and YOU. So do your part: listen, love, share, and above all, purchase the music, the better to keep it alive and kicking. And if, in the end, you’ve got goodwill to spare, we hope you’ll consider a new year’s contribution to Cover Lay Down. All gifts go directly to bandwidth and server costs; all donors receive undying praise, and an exclusive download code for a special gift set of alternate favorites and rare covers from 2015 and 2016. Click here to give…and thanks. If the holidays are over, then so is our respite from the day-to-day of work and school. No longer does the cold and snow bring hopes of friends and good cheer; instead, it drives us inwards: to our minds and our houses, the detritus still lingering after the burning of the old year. We were going to see my father in Boston today, but the snow is coming: as much as a foot, out where he is. Here in the rural middle of the state we’re on the edge of the storm, looking at a shut-in day by the pellet stove, writing lesson plans and playing charades with the family while the blizzard whirls outside the window. A day by the fire, then. And appropriately so, for it’s the time of year where we hunker down, huddling against the cold. We’ve shared several relevant coversets over the years: on snow itself, and on the nondenominational seasonal songs so easily showcased among the holiday, thanks to a resonance with the hopeful spirit of the season. But there are also wintersongs that are quiet, still, notes and voices resonating hollow against the shimmery white world, their voices soaring into empty, grey skies. In which each new day adds but a minute of daylight, not fast enough to slow the pace of deep introspection. In which Spring is present at a distance: a dubious promise, made muffled by the snow. 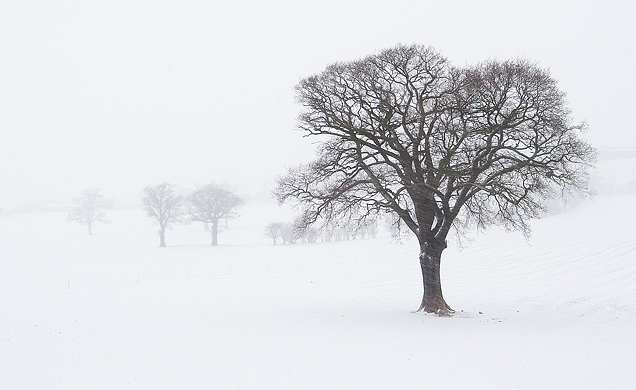 Themes of withdrawal and stillness typify the songs of this, the second season of winter. The longing for light we hear in these sounds is less golden, less joyful; more wistful, more weary. There is comfort, here, of a sorts, knowing that such states are temporary. But it is one that we must bring, ourselves, to complete the emotive loop. Ad-free and artist-centric since 2007, Cover Lay Down continues to thrive thanks to the support of artists, labels, promoters, and YOU. So do your part: listen, love, share, and above all, purchase the music, the better to keep it alive and kicking. 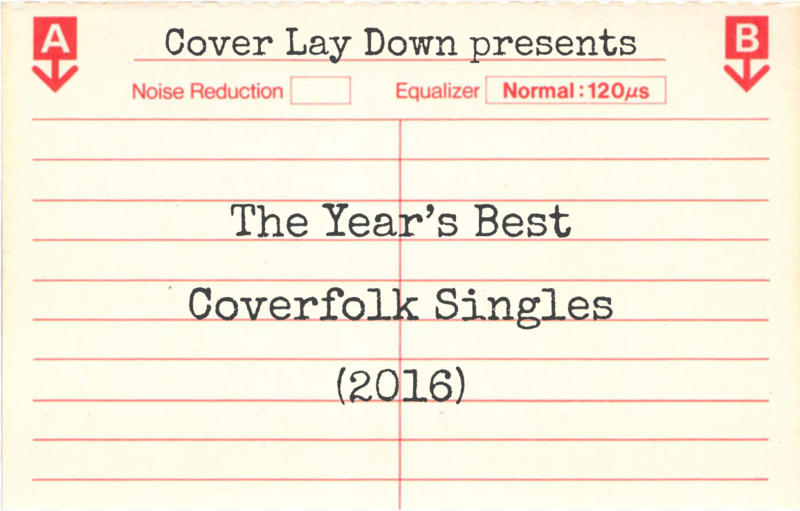 And if, in the end, you’ve got goodwill to spare, we hope you’ll consider a new year’s contribution to Cover Lay Down. All gifts go directly to bandwidth and server costs; all donors will receive undying praise, and an exclusive download code for a special gift set of alternate favorites and rare covers from 2015 and 2016. Click here to give…and thanks.